Beach Feasibility Studies, Hydrographic Survey, and Surf Observation Teams in support of amphibious landing operations. 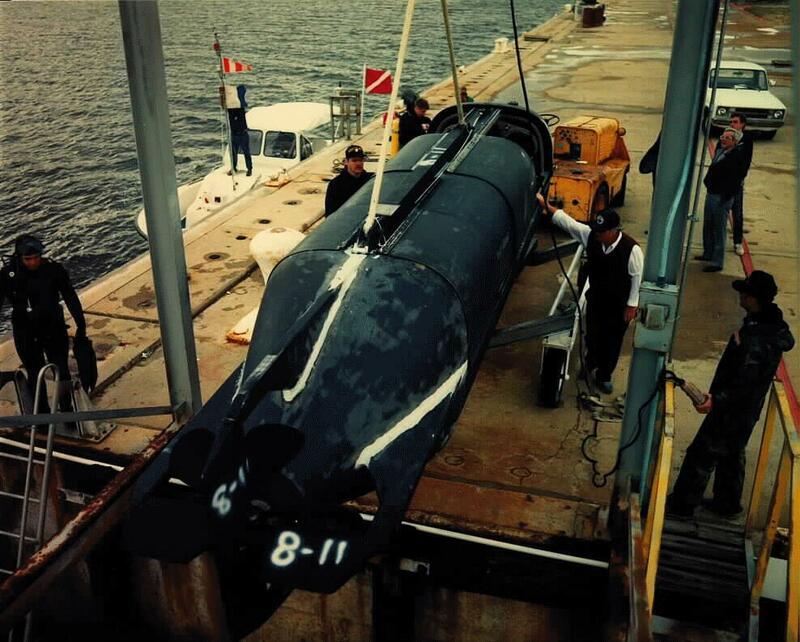 Any U.S. submarine can be employed to carry SEALs, however, the Navy has several submarines that have been specially modified to carry swimmers and their equipment more effectively, including the installation of chambers called Dry Deck Shelters (DDSs) to house SEAL Delivery Vehicles (SDVs). These submarines retain their full suite of weapons and sensors for operations as attack submarines. But they have special fittings, modifications to their air systems and other features to enable them to carry Dry Deck Shelters. The DDS can be used to transport and launch an SDV or to "lock out" combat swimmers. A DDS can be installed in about 12 hours and is air-transportable, further increasing special operations flexibility. 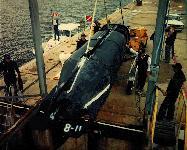 Several units of the STURGEON (SSN 637) class can carry one chamber each, while two former ballistic missile submarines can accommodate two shelters each. 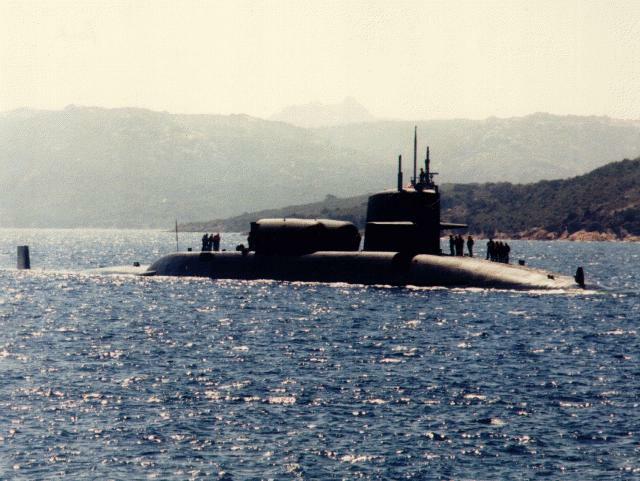 The DDS, fitted aft of the submarine's sail structure, is connected to the submarine' after hatch to permit free passage between the submarine and the DDS while the submarine is underwater and approaching the objective area. Then, with the submarine still submerged, the SEALs can exit the DDS and ascend to the surface, bringing with them equipment and rubber rafts, or they can mount an SDV and travel underwater several miles to their objective area. The number of SEALs carried in a submarine for a special operation varies with the mission, duration, target and other factors. One or more SEAL platoons of two officers and 14 enlisted men are normally embarked, plus additional SEALs to help with mission planning in the submarine and to handle equipment. Former SSBNs employed to operate with SEALs have special berthing spaces for about 50 swimmers. The New Attack Submarine will support the full spectrum of Special Operations missions - search-and-rescue, intelligence collection, sabotage and diversionary attacks, directing air strikes, and other clandestine missions that demand a stealthy team of elite forces. A nine-man lock-out/lock-in chamber will be used to insert Special Operations Forces. Plus, the New Attack Submarine will host the Advanced Swimmer Delivery System, a ten-man mini-sub for inserting and extracting Special Operations teams. When fitted with a Dry Deck Shelter, the New Attack Submarine can also deliver Special Operations Forces and their equipment quickly and quietly - while remaining submerged and undetected. 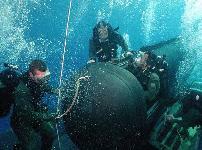 For most shallow water operations the submarine would not want to go too shallow, so an SDV is necessary. As the Technical Direction Agent (TDA) for the SEAL Delivery Vehicle (SDV), Coastal Systems Station was responsible for developing the Mk-VIII and Mk-IX boats. Once the boats were developed and supplied to the TEAMs there existed a need to provide in-service support. CSS was selected to provide this support due to their extensive experience with both the SDV and the Naval Special Warfare community. Major functions of the ISEA include: providing overhauls for the SDV; incorporating Engineering Change Proposals (ECPs); doing test and evaluation; performing the implementation of all design modifications; providing interim supply support; and providing configuration management, integrated logistics support, and data management. CSS is required to maintain complete infrastructure necessary to support SDV testing and evaluation, modification and updating. This requires port facilities, equipment to handle the SDV deep water test range, and facilities to handle SDV operators and support personnel.